Legacies of War’s Voices from Laos tour was reported on by the AP yesterday. 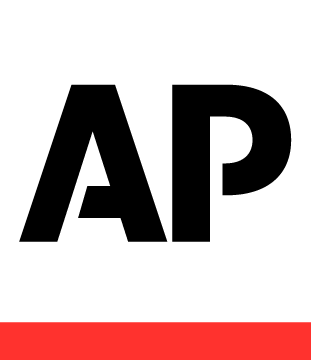 The AP is published and republished by more than 1,700 newspapers, in addition to more than 5,001 television and radio broadcasters. The photograph library of the AP consists of over 10 million images. The Associated Press operates 243 news bureaus, and it serves at least 120 countries, with an international staff located worldwide. Greetings from Washington, DC. I am here on contract with Legacies of War. Legacies, with the support of the U.S. State Department’s Office of Weapons Removal and Abatement (WRA) is setting out on a tour of the USA to discuss and raise awareness of the lingering, deadly legacy of unexploded bombs in Laos. More than 20,000 Laotians have been killed or injured by bombs since the secret bombings of that country ended in 1973. Hathaway Communications pitched the story to the Associated Press and the Boston Globe and yesterday we sat down for interviews with reporters from both. The results were fantastic. The Associated Press and Globe pieces ran last night spreading the news of Legacies’ tour around the world just in time for us to launch the tour at the United Nations next week. On top of that, BoingBoing, one of the most popular blogs on the web with nearly 10 million page views a month featured the story. Check out the stories, below and watch for more to come. WASHINGTON (AP) — Forty years after the secret U.S. bombing that devastated Laos, heirs to the war’s deadly legacy of undetonated explosives are touring America to prod the conscience of the world’s most powerful nation for more help to clear up the mess. Two young Laotians — one a bomb disposal technician, the other the victim of an accidental explosion — arrived Friday on the anniversary of the end of U.S. military involvement in Vietnam and its far-less publicized bombing of neighboring Laos. The U.S. dropped 2 million tons of bombs on Laos over a nine-year period up to 1973 — more than on Germany and Japan during World War II. WASHINGTON _ Lots of talk around here about possible war in Asia with missile rattling by North Korea and US Air Force bombers flexing their muscles overhead. But in a nondescript row house in Northwest Washington on Friday a victim of a largely forgotten conflict in Asia whose impact is still all too real was plotting a different kind of campaign. “I was eight years old, digging for bamboo shoots near my village when I lost my left hand and it was very, very difficult to continue my life,” recalled Thoummy Silamphan, 26, from Xieng Khouang province in northern Laos, as he clasped his hands—one a prosthesis—together. It was exactly 40 years ago, on March 29, 1973, that Operation Barrel Roll—the secret US bombing of Laos during the Vietnam War—ended after nine years, more than a half a million bombing runs, and more than two million tons of ordnance dropped. Laotian all-women bomb clearance team, “most dangerous job in world,” to speak in U.S.
As a bomb clearance technician and the leader of an all-women’s bomb clearance team in Laos, Manixia Thor has one of the most dangerous jobs in the world. Unexploded ordnance removal is perilous and the days are long, but she knows that her work clearing bombs will make Laos safer for her two-year-old son and for future generations. For nearly ten years, millions of bombs rained down on the tiny country of Laos, making it the most heavily bombed country per capita in history. The bombings ended 40 years ago this year, but more than 20,000 Laotians have been killed or injured by decades-old ordnance that litter the otherwise beautiful landscape. With support from the U.S. Department of State, Manixia and Thoummy Silamphan, a Laotian bomb accident survivor and victim assistance advocate, will be touring the United States on a speakers tour with the U.S.-based group LEGACIES OF WAR to raise awareness about the unexploded ordnance issue in Laos and the urgent need for further funding of clearance and survivor assistance efforts.